To sum up the Fingerlings monkey Finn is a fantastic toy which will offer your kids hours of entertainment - WooWee have done a great job of creating such a cute and interactive toy for £15! Buy today before everyone sells out! 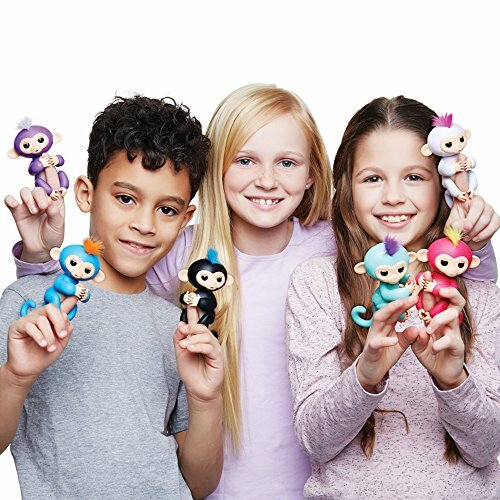 Introducing Fingerlings monkey Finn – The fingerlings baby monkeys from WooWee are the latest toys craze to sweeping to nation and they are already set to be one of the hottest collectible toys for both boys and girls in 2017! 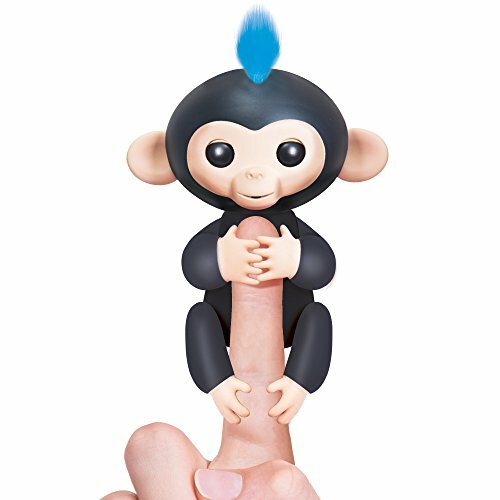 Just take a look at our Fingerlings black skin Monkey Finn deals above where we do all the work for you by comparing prices and stock availability with all the biggest online brands and select independent toy stores. 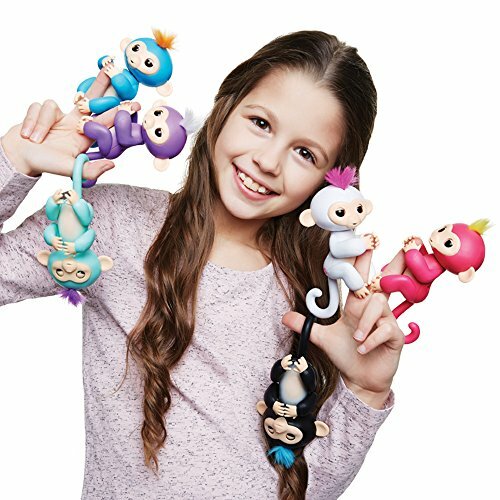 Where to buy Fingerlings Finn monkey toy? Hopefully you’ve already seen our guide to Fingerlings and you already know that your children are going to crazy with joy and excitement for the new Finn fingerlings monkey, fully interactive with over eighty different interactive features and this money is so cute! What we love about this toy is that it’s so easy to use anyone can read through the simple instructions and start learning the commands needed to interact with your toy monkey. Just wait until you start seeing them interacting from blowing a kiss to saying hello, laughing and sleeping – Finn will become your childs best friend in no time. Blow kisses to Finn and he will blow kisses back! By Clapping once or twice Finn will start playing around with you. Pet Finn’s head and he will show you love! Tap Finn’s head and he will interact with you. Press and hold the 2 sensors on Finn’s head and you will get a really funny surprise! Hang Finn upside down and she will get really silly. Cradle Finn and she will stat to go to sleep!